This week’s award for most ridiculous mainstream media article goes to the Washington Post. The death of mainstream media is upon us. A recent Gallup poll showed that over 77% of Americans distrust mainstream television news channels as well as newspapers. Though these startling numbers should be cause for worry, it has failed to dissuade most media outlets from accelerating their spectacular decline into nothing more than propagandist, government mouth-pieces disguised only by a quickly evaporating veneer of manufactured journalistic “prestige.” Wikileaks, the independent media organization responsible for exposing the corruption and war crimes of governments all over the world, has been a recent target of the corporate media due to their nearly daily releases of leaked emails targeting the Democratic National Committee and Democratic presidential nominee Hillary Clinton. 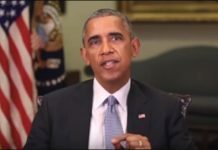 Many of the leaked documents, not surprisingly, have exposed a level of unprecedented collusion between mainstream media outlets and the Clinton campaign, including “well-regarded” publications like the New York Times, Politico, Wall Street Journal, the Huffington Post, and the Washington Post. In some cases, “well-respected” journalists published articles under their names which were actually written by Clinton campaign staffers. Nonetheless, many of these same outlets have taken it upon themselves to shield, not themselves, but Hillary Clinton from the negative fallout. 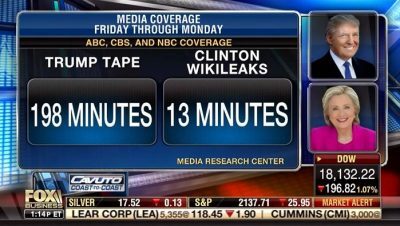 Consider how much mainstream media coverage there has been of Trump’s leaked tape versus Clinton’s Wikileaks revelations. One of the most widely reported leaked emails exposed transcripts of Clinton’s paid speeches to Wall Street banks and other organizations, which were closed to both the press and the public. These transcripts, whose authenticity was confirmed by Clinton in the second presidential debate, show that Clinton has consistently lied to the public about her political views as she has distinct “private” and “public” positions on practically every issue. For example, Clinton has told the public that she is against the TPP, fracking, Wall Street de-regulation, and the Keystone XL pipeline. However, her paid speech excerpts, available for download here, show that she actually supports these issue in “private.” Reactions from this obvious admission of manipulating the public have ranged from outright anger to unfazed. To add to this laughable attempt to normalize government corruption, the Washington Post ran another article, this time by Charles Lane, which argued that “like all good things, transparency can be taken to an extreme.” Lane went on to call Clinton’s “public/private” comments “refreshing” and other evidence of her corruption as “run-of-the-mill” transactional politics. He even refers to shady, back-room deals as “democratically necessary privacy” and warned that it was endangered by “surveillance anarchy.” Said another way, public surveillance of the government is anarchy, but the reverse is policy. 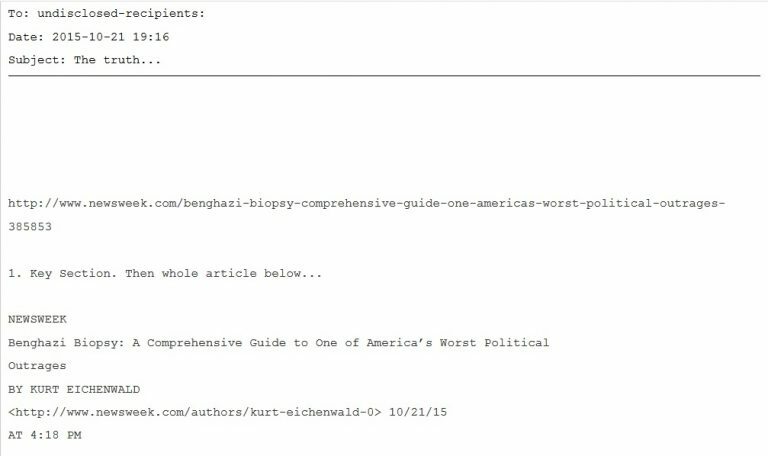 The “doctored” Wikileaks which “stole” words from Newsweek’s Kurt Eichenwald clearly attributes Eichenwald’s article at the beginning of the email. Even some alternative news website have been caught doing much of the same. 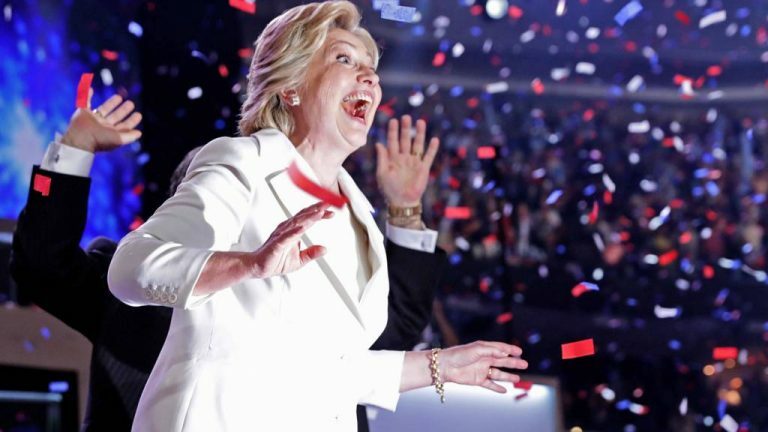 The ironically named Bipartisan report ran a story called “BREAKING: Hillary Clinton VINDICATED After WikiLeaks Caught FABRICATING Fake Emails,” which was nothing more than an amazingly pathetic misinterpretation of a Newsweek editorial. The Newsweek article calls out Russian news agency Sputnik for inaccurate reporting as they misattributed the words of an email, which clearly contained a forwarded Newsweek article, to the email’s sender, Sidney Blumenthal. The Newsweek article does not charge Wikileaks with doctoring the emails. Sputnik later admitted its misinterpretation of the document and removed the article from their page. In fact, the very first line of the Wikileaks email in question is a link to the Newsweek article. The Bipartisan Report’s article acknowledges this fact, despite its glaringly partisan headline, but, for some reason, refers to the email as “fictitious” and “false” anyway. With more Clinton-related leaks on the horizon, it seems likely that we will continue to see even more desperate attempts to smear Wikileaks and elevate Clintonian fascism.